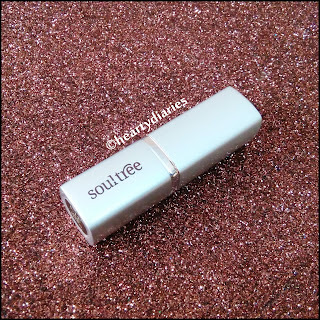 Today I am going to review Soultree Lipstick for you guys that I received in My Envy Box August 2017.. This lipstick comes in twenty four beautiful shades and I being a lipstick lover love them all. The wide range of shades are suitable for all skin tones and would specially flatter Indian skin tones. As I have mentioned a lot of times, I don’t have a particular agenda for lipsticks because I love to play with all colors, textures and finish. At days, I would love getting extra glossy and some days are totally worth being mattified in my life. I do not judge a lipstick by what its finish is but how it looks, stays and shows off. 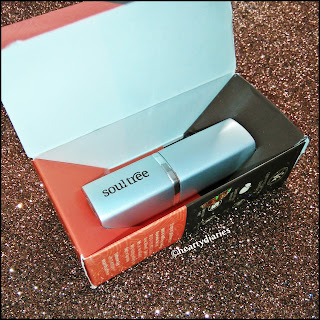 Soultree is doing an absolutely incredible job in banishing harmful chemicals from their products and I was already impressed when I received this lipstick. This lipstick is enriched with organic sweet almond oil and essence of rose. Anything that is organic and chemical free always takes my attention because I am all about skincare and being natural. But not all natural products are safe to be used on our skin, especially on our gentle eyes and lips because almost all of them contain synthetic preservatives and can harm you in the same way as a synthetic one does. Please keep on reading this review till the end to know if it worked well for me or not and to know my final opinion and experience about this product.. Product Description: Organic ghee for its healing, moisturising and lightening effects, wild honey for softening and sweet almond for revitalising and nourishment, make this lipstick a perfect way to give your lips a vibrant dash of colour. It has no synthetic colours, fragrances or preservatives.. It is carefully kept inside the carton and the outer packaging is really nice.. This lipstick comes in a silver colored, metallic bullet with the same quality, airtight cap. The over quality of metal is good, looks chic and does not break or dent on dropping. The packaging is very sturdy, light weight, travel friendly and isn’t loose at all which makes it safe to be kept in handbags. 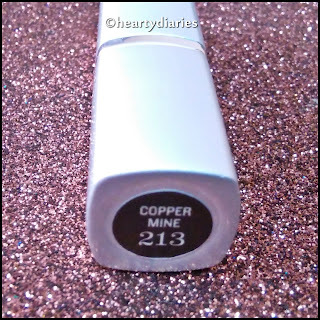 The shade name and number is mentioned at the bottom of the lipstick bullet. 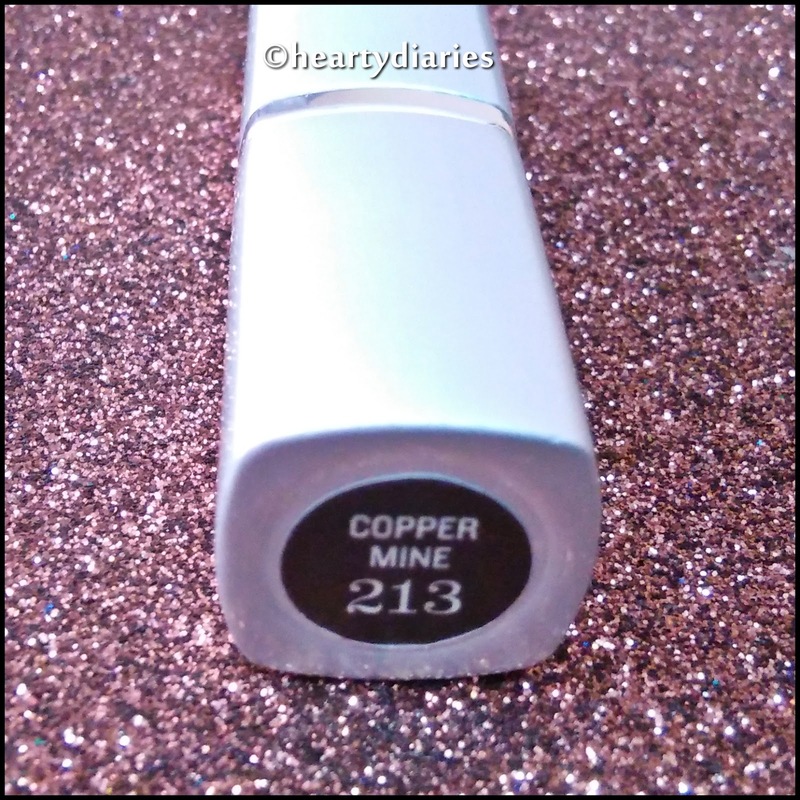 My thoughts on shade “Copper Mine”: Copper Mine is a gorgeous shade and has warm undertones to it.. It looks really hot, vibrant and nice but is subtle and dark at the same time. The shade you see on the lipstick bullet is exactly the same you get on your lips.. I think copper color is so experimental because it looks stunning on almost every one and this particular shade would complement all skin tones, fair, medium or dark and I think both undertones, warm or cool. 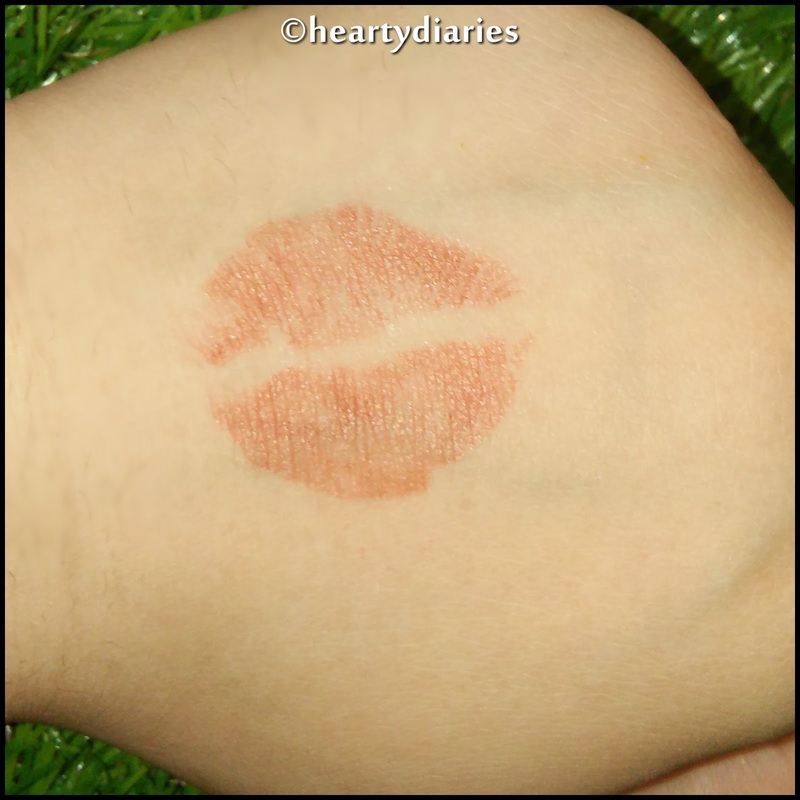 Texture: The texture of this lipstick is very creamy and smooth. The formulation is amazing and very moisturiing which is a plus point for people having dry or chapped lips.. The organic ghee which is one of the key ingredients of this lipstick, means it when you apply it. No matter how dry your lips are, this one will never cause you any worries. Finish: My favorite happy ground “Satin” because it is not over drying, looks nice, feels hydrating but not at all heavy! Staying Power: This lipstick stays on the lips for 4-5 hours which is quite decent and bears light snacking. It transfers very easily which is a slight issue but I don’t really mind it much. Being a very sweaty brat, I keep on blotting my face especially my upper lips with a soft tissue every now and then to absorb all the excessive oiliness and grime harboring over my skin. But sometimes I just wipe my face in agitation when there is a lot of sweat and oil going on my face, not caring about my makeup and anything.. Yes, I am that girl who would really get messy and irritated when I feel “very” hot.. Also, I don’t always apply makeup and just apply a lipstick and I am good to go.. This is when this lipstick causes some issues to me because it smudges all over if the tissue touches it even very slightly. 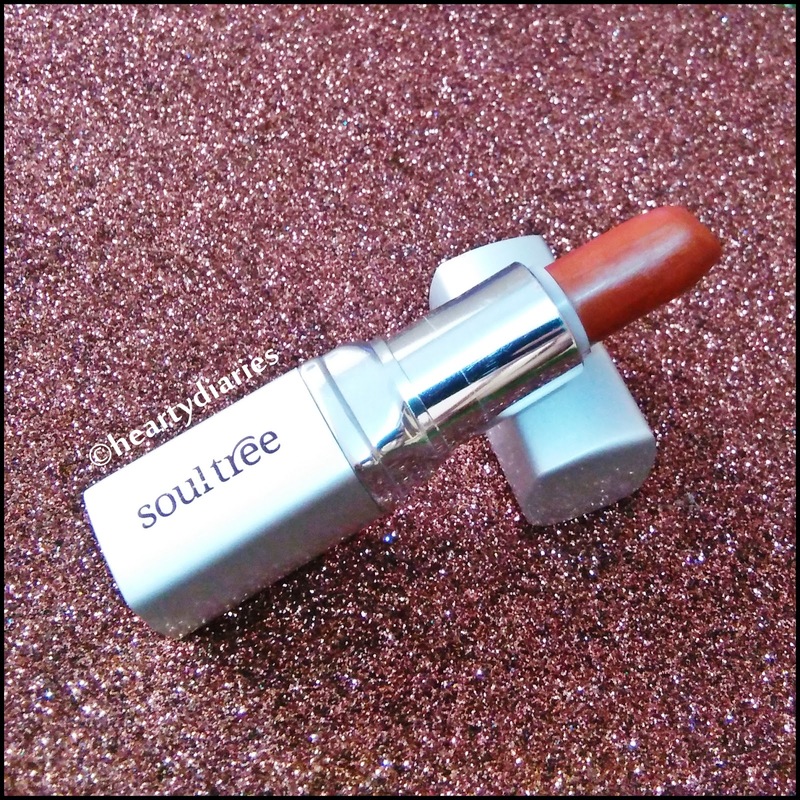 Pigmentation: This lipstick is beautifully pigmented, has an intense color which pays off in a single go .. It is really moisturising and two swipes are just more than enough to get the maximum color. On casual days, one swipe is good for me and on special occasions, I like to go oveboard and apply two three swipes to have all the attention on my lips. My lips are very hydrated naturally but this lipstick does not need a lip balm underneath even by people who have dry or flaky lips. On an average, it stays intact for four hours at-least but the matter of disappointment is that it smudges and transfers “very” easily due to which I have to be extra careful with it. Also it keeps my lips hydrated and soft even after I remove it which is such an amazing thing again.. The finish is just like a satin-matte lipstick which I love. I hate matte lipsticks that are too matte.. If you want, you can mattify any lipstick using certain DIYs like blotting the lips with a tissue and setting the lipstick with a powder but I love how this one looks and its overall finish. Unfortunately this lipstick broke as soon as I opened it for the first time.. I don’t know what happened actually but it broke.. I think it is the slightly different kind of airtight cap which was an issue but now I handle it carefully and it hasn’t happened again. 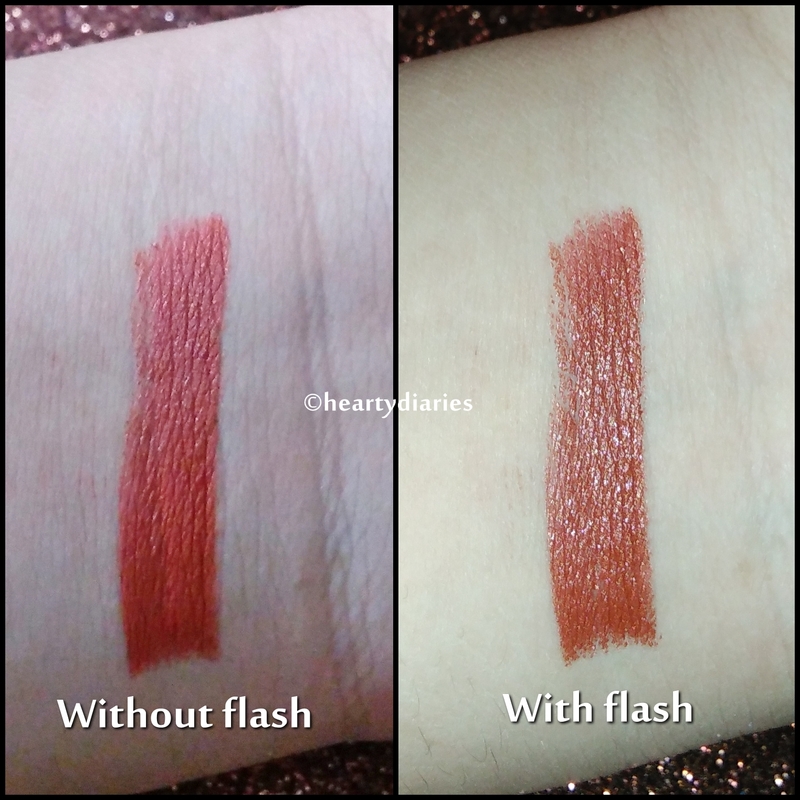 I feel like this lipstick is very similar to Colorbar Velvet Matte Lipstickin terms of formulation, feel and staying power but is quite expensive than that and also is not widely available as compared to it. But honestly speaking, I would rather pick up Soultree than Colorbar although it is slightly pricey because the former is natural, organic and has ingredients list mentioned unlike the latter. Enriched with all goodness, what else do I say about this lipstick.. It has a few cons but is still so amazing and nice to my lips. I love everything about it, packaging, formulation, ingredients, finish, staying power and what not. It has a perfect combination of organic ingredients that gives has a very rich feel, looks nice and is very comfortable to wear. Definitely yes.. 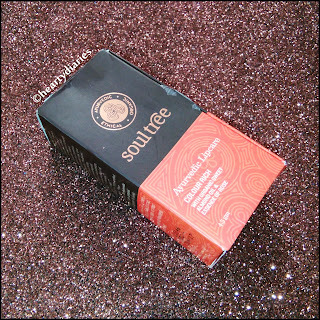 I love its overall formulation, result, feel, finish, staying power, pigmentation, shade range and what not.. I will purchase more and more shades from their range soon.. Highly.. If you love matte lipsticks that doesn’t make your lips dry and chapped, you need to try this baby at least once.. Yes. It is fully worth the price according to me and has a really good quality.. The organic and natural part is really drawing me to this brand. I've got to try their cosmetics range. This product is my first one also from this brand…. U should definitely try this lipstick..